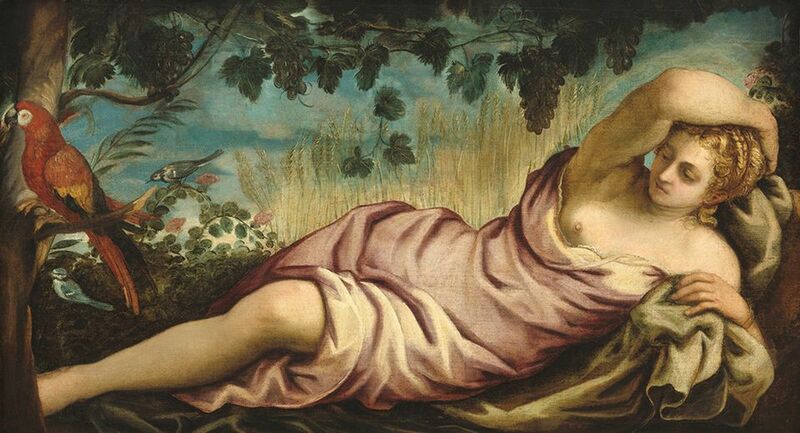 Among the celebrated painters of 16th-century Venice, Tintoretto was the most Venetian. Jacopo Robusti (around 1518-94), nicknamed “the little dyer” after his father’s cloth-dying trade, is recorded as leaving his native city just once in 75 years. Many of his paintings have never left, and still hang in the churches and Scuole (religious confraternities) for which they were made. This autumn, sites across Venice will commemorate the 500th anniversary of Tintoretto’s birth with a run of special events designed to bring the city’s permanent treasures into focus. “To celebrate Tintoretto means doing so in Venice,” says Frederick Ilchman, the co-curator of a major exhibition opening at the Palazzo Ducale. Co-organised with the art historian Robert Echols, it will be the first major survey of the artist’s work in his home town since 1937. Together with Gabriella Belli, the head of the Civic Museums of Venice, they brought on board the Gallerie dell’Accademia to stage a parallel show on his early career. Masterworks from both exhibitions will travel next spring for a combined presentation at the National Gallery of Art in Washington, DC—the first of its kind in North America. Meanwhile, the US conservation charity Save Venice, which Ilchman chairs, has produced a guidebook of Tintoretto itineraries around the city and has funded the restoration of 18 paintings, nine of which will go on view at the Palazzo Ducale. 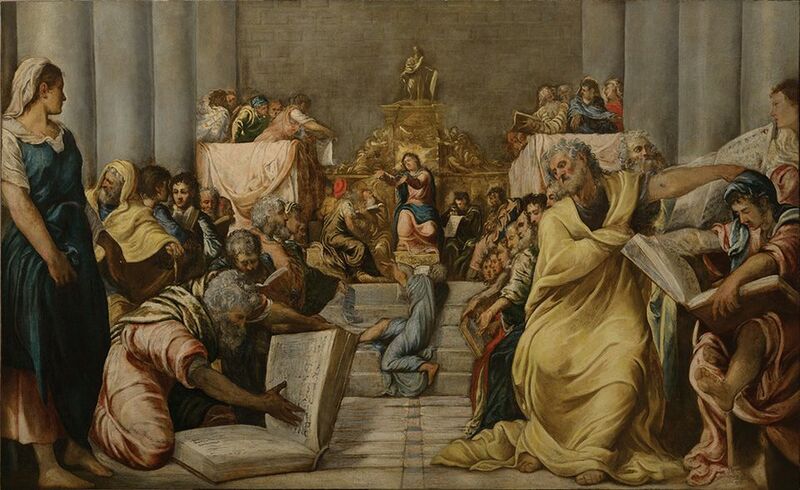 Tintoretto was widely considered an impossible subject until the Museo del Prado’s acclaimed exhibition—assisted by Echols and Ilchman—in 2007. Prolific and prone to painting on a huge scale, the artist maintained a large family studio that has “muddied the waters” for scholars, says Echols, who has spent 30 years trying to disentangle the autograph works from the misattributions. He and Ilchman have taken a rigorously selective approach to their exhibition checklists and the catalogue, Tintoretto: Artist of Renaissance Venice (Yale University Press, 336pp, $65, hb). Visitors will be able to judge for themselves at the Accademia, where 26 works from the first decade of Tintoretto’s career will follow a broad panorama of painting, drawing and printmaking in 1530s and 1540s Venice. “We want to share with the public what the cultural and visual experiences of the young Tintoretto could have been,” says Paola Marini, the Accademia’s director. The artist’s own restlessly experimental works from those years will be displayed separately, she says, because his style “is so particular that there was too much contrast with the others”. 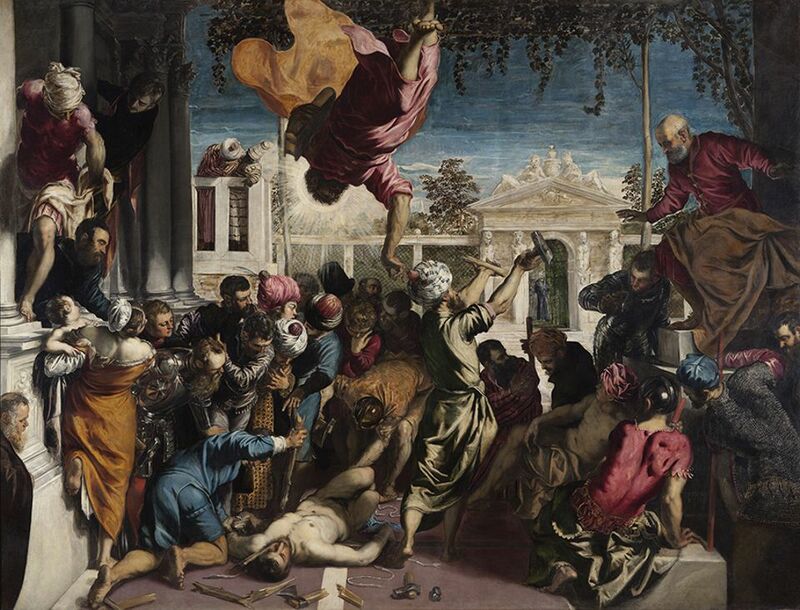 The show will culminate in The Miracle of the Slave (1548), a cornerstone of the Accademia’s collection and Tintoretto’s great breakthrough, in which an airborne Saint Mark rescues a slave about to be tortured for worshipping at his tomb. Marini promises a “very theatrical display” to match the drama of the painting. The Palazzo Ducale exhibition will pick up straight after, when Tintoretto “suddenly becomes this avant-garde superstar”, Echols says. Galleries dedicated to his mature religious scenes, heroic male figures and female nudes will give way to a detailed examination of his technique, with drawn and painted sketches, X-rays and infrared images. Tintoretto’s fast and loose brushwork was viewed as “radical and even disgraceful” in his time, Ilchman says, but “we make it clear that he was a diligent craftsman and he worked methodically”. The curators hope to shed light on another overlooked side of Tintoretto through a portrait gallery modelled on that of a traditional Venetian palazzo. “He is such a subtle, understated painter of portraits,” Echols says. Giving the portraits a room of their own—away from the “much more extroverted” narrative paintings—aims to bring visitors closer to the sober aesthetic and direct gaze that would influence Velázquez and Rembrandt a century later. 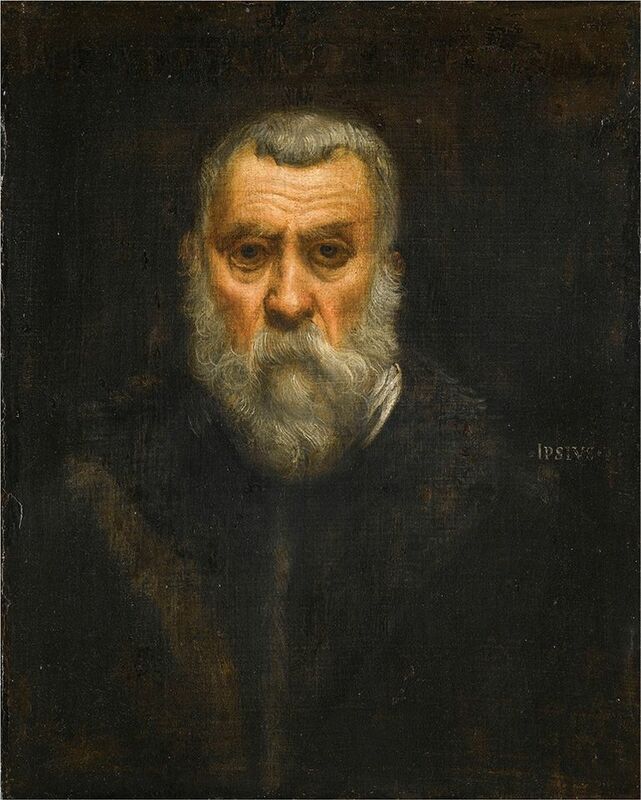 Bookending the exhibition will be a pair of self-portraits: the fierce upstart of around 30 years of age, from the Philadelphia Museum of Art, and the Louvre’s sad-eyed, spiritual elder at the end of his life. “They give such a strong sense of his personality,” Echols says. Returning to Venice 500 years after their maker’s birth, they are also calling cards for “an artist who has stood the test of time”, Ilchman says. The exhibition at the Palazzo Ducale is supported by Save Venice and Louis Vuitton. The US presentation at the National Gallery of Art is made possible in part by the gallery's Exhibition Circle.